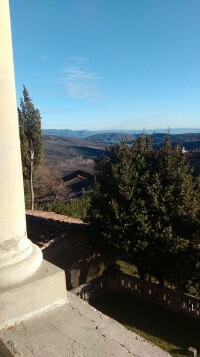 Looking for somewhere in Tuscany for a special event or a family holiday? why not book our wonderful villa and annex. We can accommodate from 2 to 14 people, providing high quality accommodation and a private pool. Casa Gentili sleeps 8 while the annex, Casa Rosa, sleeps an additional 6 people - both the villa and annex sit on a beautiful terrace and have outdoor dining areas for the glorious summers and stunning spring and autumn months. With central heating and open fires you can enjoy wonderful winter evenings in front of a roaring fire. Situated close to the historic village of Caprese Michelangelo (birth place of Michelangelo), and nestling in the lush Tuscan countryside, our villas provides an ideal base for holidays in Tuscany; a region often regarded as one of the most beautiful and cultural parts of Italy. Casa Gentili and Casa Rosa form part of an estate once owned by the Gentili family, a prominent and wealthy family with estates in the Arezzo province and connections to the gold industry in the heart of Tuscany.